Hello, my favorite people! I was cleaning off my VERY messy computer desk today and found a card that I haven't shared yet. It uses the new Pure Innocence set, Cheerleader. I used the Jumbo Ric Rac die with the Grosgrain Texture Board to create my papery-ribbony strip. FUN! 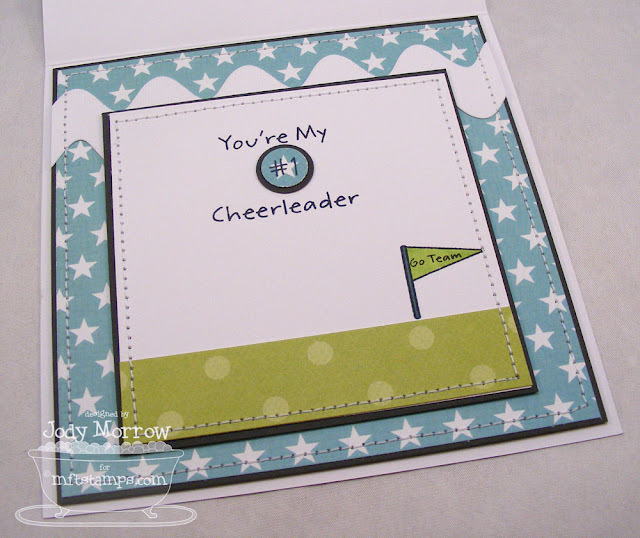 I used a mixture of sentiments from the Cheerleader set and the MVP Football Player set to create my sentiments on this card. See you tomorrow. I have a FULL week of stampy goodness to share! HUGS! 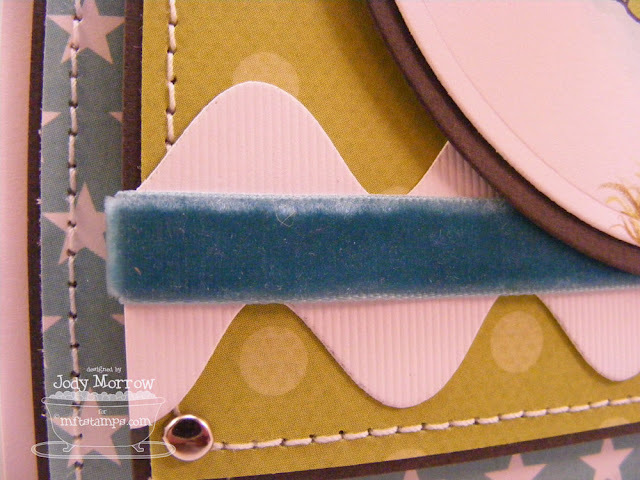 I saw some challenge with dimensionals (like use something coming off the card) and you should so enter that!! This is soo adorable...I will try and find it and let you know if you can't find it! Love those pom poms!! Freakin' Fantastic, Jody! Love the pompoms! So cute! A full week of stampin' goodness on your blog?! I won't miss it! LOL! Wow, this is great! I am going to do some cheerleader scrapbook pages for my DD and you have given me some ideas! You photograph your cards so well!!! I can see all the amazing detail and texture you use. I love how you did the pom-poms!! Very cute card! So cute! Love the pom poms! What a cute card Jody!!!! I love her! She's just so darling! Her hands are perfect for a jump rope????? Love the pom poms though! They totally make the card! 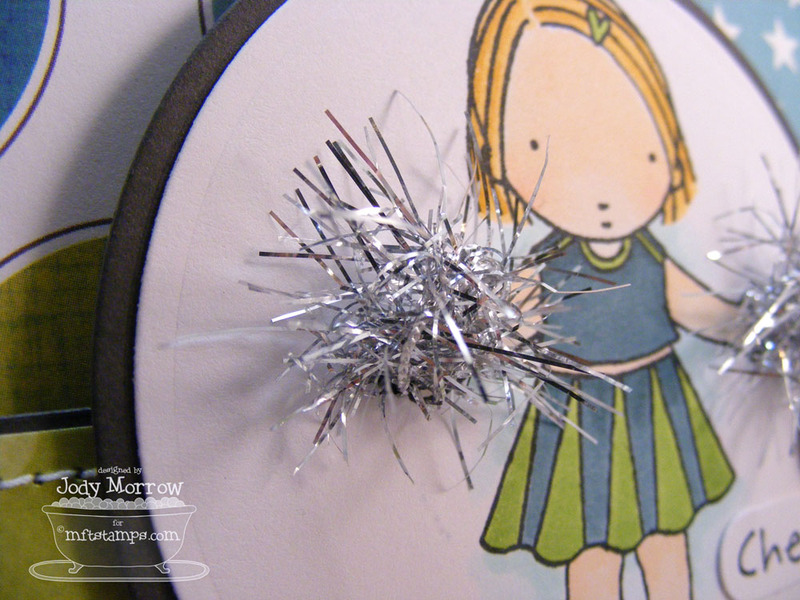 This is one awesome card Jody- the pom poms are pure genius!